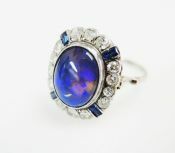 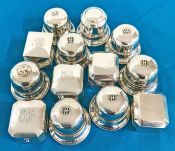 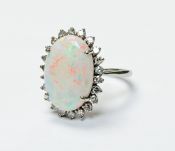 Discover our Selection of Antique Opal Rings, Estate Opal Rings, Vintage Opal Rings and Modern Opal Rings. 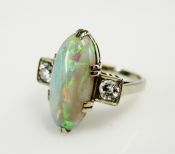 For a Custom Opal Ring Design Click Here. 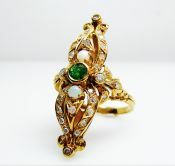 A beautiful vintage 14kt yellow gold ring with 1 oval cabochon white with yellow-green to orange plays of colour opal, approx 1.24ct.